Despite the fact that emperor scorpions inhabit many arid regions, they desiccate quickly when their habitat is too dry. Your emperor scorpion is most comfortable in a moderately humid, but not wet, habitat with a relative humidity of around 75 percent. By using a moisture-retaining substrate and misting the tank regularly, you can increase the humidity of your scorpion’s tank, and ensure his comfort and well-being. Substrates, such as cypress mulch, organic topsoil, orchid bark and coconut fiber, retain water and release it slowly into the air. 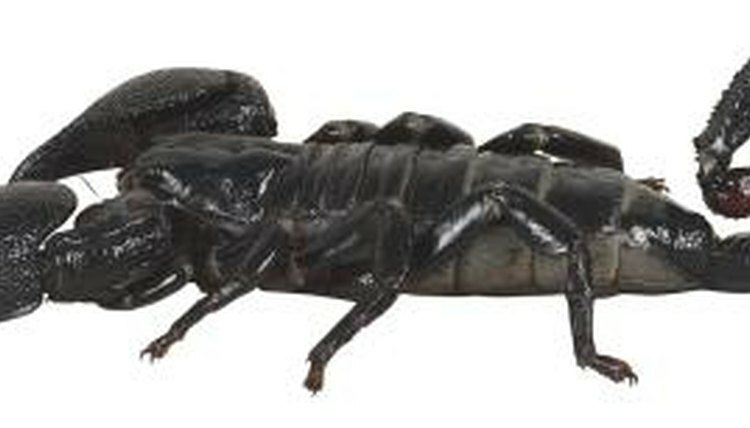 Use several inches of substrate in your pet’s cage to allow your scorpion to dig tunnels in which he can retreat. Add water to the substrate to keep the moisture level high -- dampen, but don't saturate the soil. Mist the cage with dechlorinated, lukewarm tap or bottled water each morning. Mist all of the cage surfaces and the substrate lightly, but be sure that the cage dries out between mistings. If the cage still is wet the next morning, reduce the amount of subsequent mistings accordingly.